For the past several years we’ve had schools bringing us in to set up our Mini Golf To Go course and to set up our Fun Fotos To Go Photo Mugs. Students get their picture taken, which then has to bake onto a mug in our special mug presses. 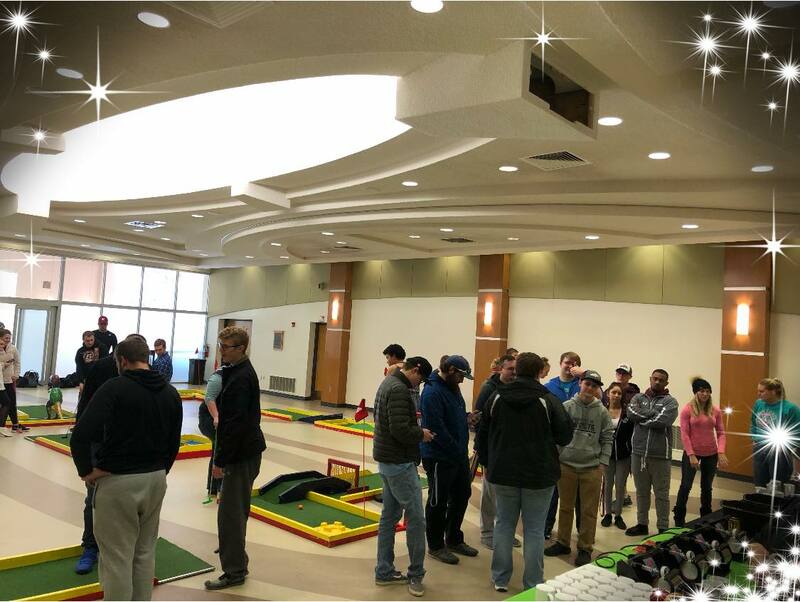 While this process is being done students play a round of mini golf. By the time their done their mug is done, and it’s cool enough to handle. Best of all, you only pay travel once AND you get a special price when booking more than one event at a time. It’s a really special way to bring a little summer into your winter! Colleges contact Everything But The Mime or fill out a form and we’ll get in touch with a quote.